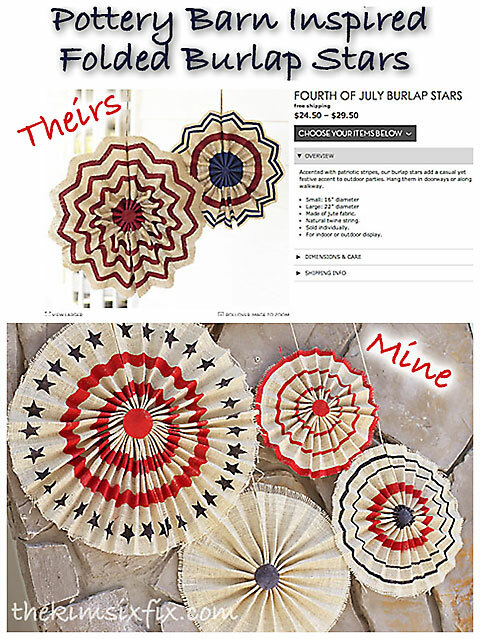 However.. when I saw these burlap stars show up on my Facebook page, I KNEW I had to knock them off. Yes I am obsessed with my Silhouette and no, they don't pay me to say that! 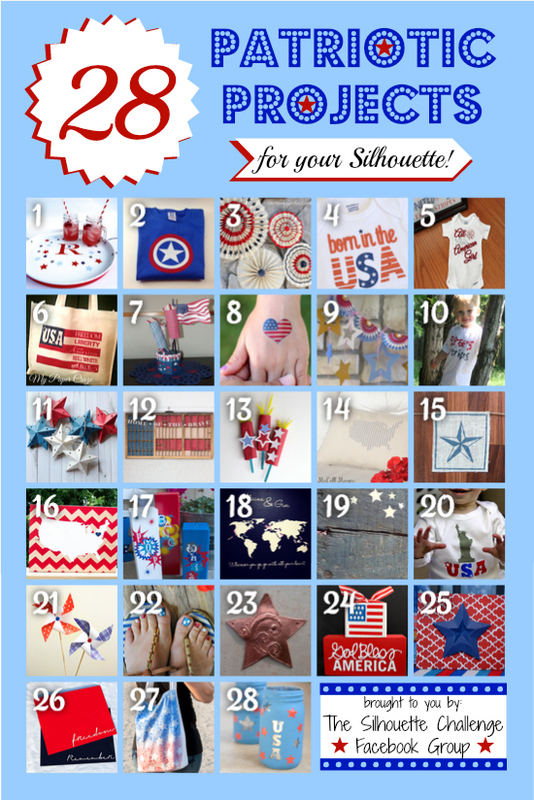 There are also a bunch of other awesome "Patriotic" themed Silhouette projects included at the end of this post.. so be sure to visit those too. To make them I first cut strips of burlap. However wide you want your star, your strip needs to approximate HALF that wide. The wider the strips are the longer they have to be (My really large stars actually required two strips). If you have a silhouette and have never tried contact paper/shelf liner, you should. Just use the same settings you would for vinyl and then reduce the pressure 1-2 notches. I also I used some of my favorite Frog Tape Shape Tape (the same stuff I used on my curtains) to make large waves. Just make sure you paint is dry before spraying with the starch or you will end up with a sticky mess! Fold and press the burlap like a fan. I made the folds about an inch wide. The pottery barn version had wider folds, but I liked the look of more folds. I actually glued from the front and the back and even faced the ends of each fold together with a dot of glue. At this point you want to lay out all your stars and let them dry. The spray starch and the hot glue need to really set for them to maintain their shape before you hang them vertically. Once they are dry, you can glue on a string in order to hang them. I used twine like on my burlap banner.